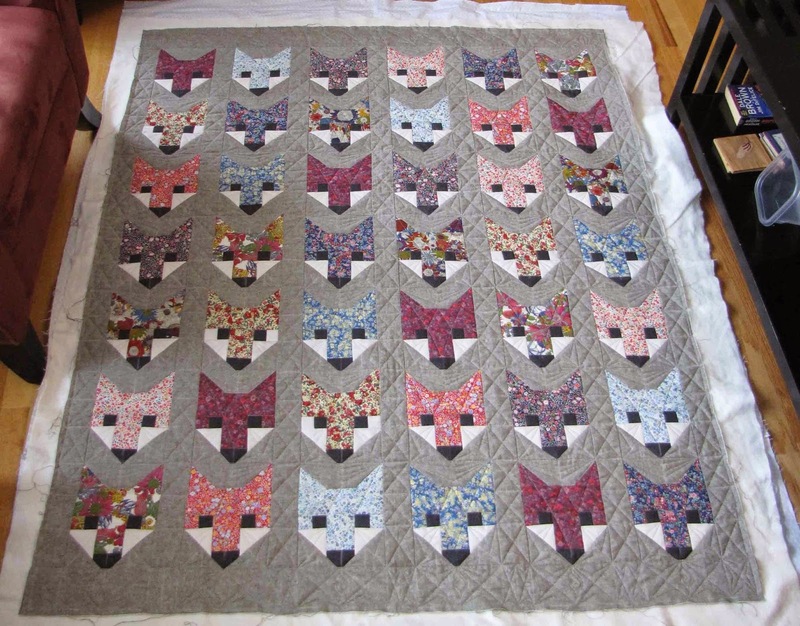 No Rules Quilting: It's Spring! Yay! This one (above) is quite small - the blocks are about 4 inches square so some of those pieces are only about 1/2 inch! Quilting them is one thing, but piecing... that's quite another! This and the next are done in an all-over design from Angela Walters book "Shapes" - her "signature" design. I love this book. Here is a little quilt I made with a fat quarter bundle my friend Joan gave me. I found an easy pattern here - I'm always happy to use an existing pattern - no point in re-inventing the wheel. This one was just what I wanted. Fast, easy and a good showcase for the fabric and some quilting. 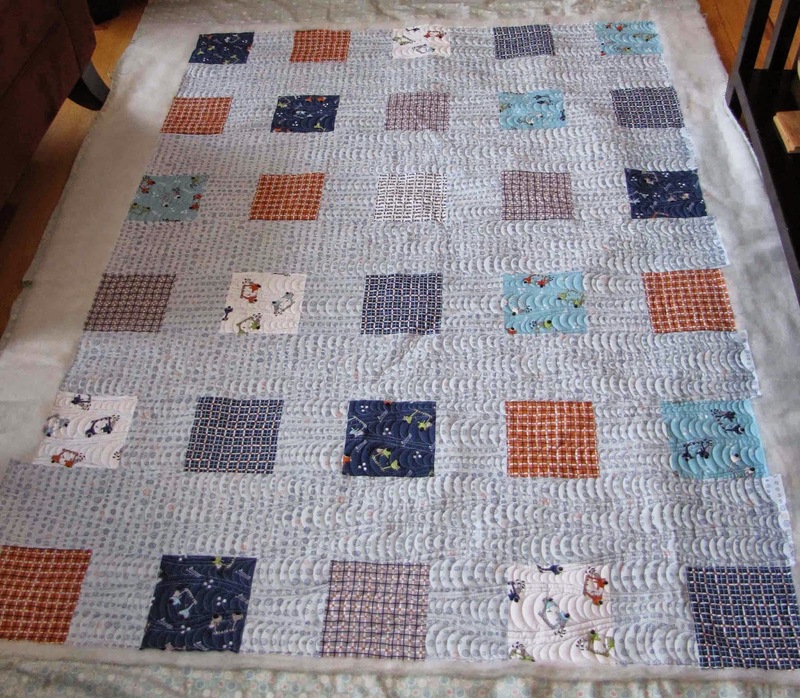 I had a lot of fun quilting it! Below is a customer quilt that I just finished the other day. This is a sampler queen size - so 45 sample blocks and 44 log cabins to space them out, for a total of 49 blocks (7 *7 rows/columns - 12" blocks). I customized each sample block - all different - then cross hatched the log cabins. I am very happy with the way it turned out and my customer is very happy too! I didn't put them all up, still quite a few - they are all so pretty it was hard to choose! 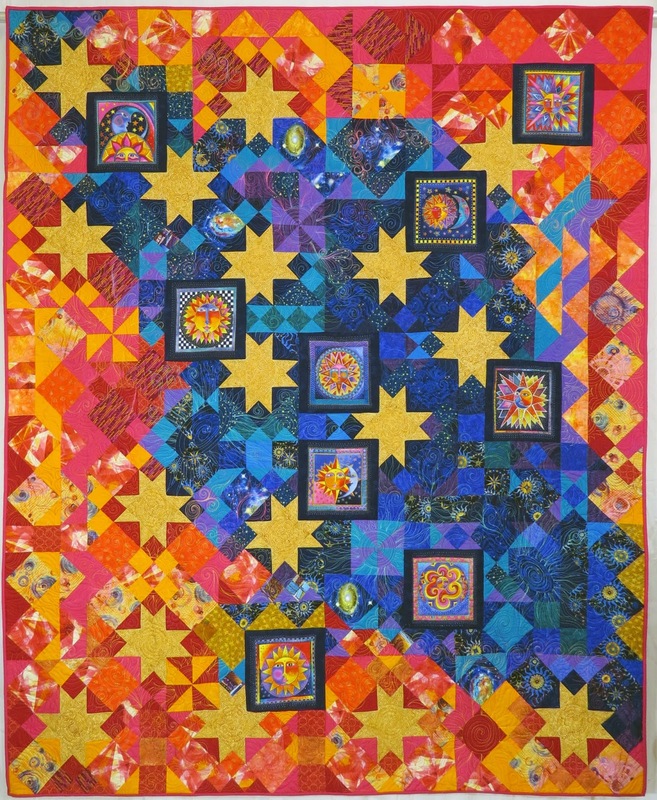 Finally, this is my quilt "Big Bang". Designed by moi based on a design technique found in a book called Stretching Tradition. The quilting is verging on thread painting - the idea was to make it seem like a swirling mass of stars - or at least as much as you can do that on a quilt!